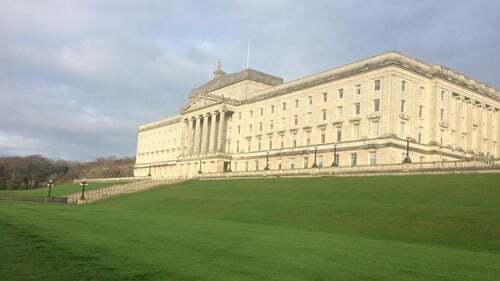 Opinion: What if there had been an active Northern Ireland Assembly with a power-sharing Executive addressing Brexit issues? This sort of hypothetical question implies we try to explain what didn’t happen. Is this a futile exercise? Perhaps not because imagining alternative scenarios is something many of us will often indulge in to try and learn about or current circumstances. For example, where would our family finances be if we had bought that bigger house just before the credit crunch? What would have happened in life had my father taken that job in London when I was still at primary school? Consciously or not, we are trying to make sense about life as it actually is. In politics, it can be interesting to compare actual outcomes, dependent on specific circumstances, with alternatives that are conceivable had a different path been taken earlier. The week after the Conservative government in London survived a confidence vote, which followed a heavy defeat the previous night over its Brexit "deal" with the EU, is certainly a timely moment to pursue counterfactual questions. The 10 strong group of DUP MPs in the House of Commons were not somehow pre-programmed to reject the withdrawal deal on the basis that this meant Northern Ireland moving under the influence of Brussels as the rest of the UK was "taking back control". DUP leader Arlene Foster: "The DUP might have found a better bet in the economic potential of a "special status" Northern Ireland, presented as a great place to do business with EU countries and the rest of the UK"
Had the DUP been part of a functioning Assembly, there is a possibility that the deal could have been framed in a different way altogether. A functioning Assembly and its ministers would have been the subject of intense lobbying from business groups including the Northern Irish CBI, Chambers of Commerce, Ulster Farmers Union and the Food and Drinks Association. There would have been powerful arguments put in favour of an outcome that kept Northern Ireland with a foot in two free trade areas, along the lines of the rejected backstop position, which would have been invoked with no long-term deal agreed by the end of 2020 avoiding a hard border. The backstop would have kept the UK as a whole in a single customs territory with the EU, but place Northern Ireland in a deeper customs relationship, involving closer alignment with the rules and regulations of the EU single market. The DUP might have found a better bet in the economic potential of a "special status" Northern Ireland, presented as a great place to do business with the EU countries and the rest of the UK. In Scotland, the government would certainly have been in triumphant mood if they were offered such a status, with little dissent from its political opponents including the unionist Conservative party. The Withdrawal Agreement, which it chose to reject, could have been converted into a win for the DUP in Belfast and Westminster. Significantly for the future of devolution this position would have been dependent on cross-party pragmatism and co-operation and a willingness to embrace a deal for Northern Ireland that both the DUP and Sinn Féin could own. A new species of politics created in the circumstances of crisis, in other words. Instead of exploiting short term financial and electoral gains through the confidence and supply deal that props up a minority Conservative government, a more significant grown=up influence on events would have been achieved. While the impact of the governments in Scotland and Wales on Brexit negotiations has been negligible thus far, a Northern Ireland Executive would have had the strategic importance of the border to exploit. The other devolved administrations have failed miserably in securing influence through the Joint Ministerial Committee, which is the constitutional institution for co-ordination of the overall relationship between the UK and the devolved nations. But the need to keep Northern Irish ministers on-board might have turned what have been largely low key meetings into significant platforms to project the interests of the devolved nations. In addition to the possibility of making valuable economic gains for the people of Northern Ireland, another means through which an active Assembly could have made its mark was through the work of policy committees. Significant operational challenges in healthcare and policing will emerge quickly after a no-deal end to negotiations on March 29th. From RTÉ Radio 1's News At One, Brian Rowan reports on the deadlock following the latest Stormont talk which were described as a "car crash"
With no Assembly, key public services have not been sufficiently empowered to go and complete the contingency work required to deal with a hard border. For the NHS, staffing issues are thought to be considerable, the emphasis on "thought". In the absence of an oversight committee, no pressure has been placed on an understandably reluctant NHS to collect sensitive data on nationality. The NHS and the social care sector would be far more secure if they knew accurately where and to what extent nationality is going to impact on the people dependent services they deliver. The PSNI needed financial guarantees to begin training staff for new border related roles. Witnesses appearing before a Justice Committee in Stormont would have made this very clear. The UK’s post-Brexit exclusion from EU hosted criminal data management systems represents another problem, which would have focused the attention of elected representatives. What if Brexit represented an opportunity for Stormont to come of age through the deliberation of the acute problems facing Northern Ireland and the Republic of Ireland? Divining for a compromise that a significant majority could endorse would been a historically significant exercise for both the material and political interests of the Northern Irish people.